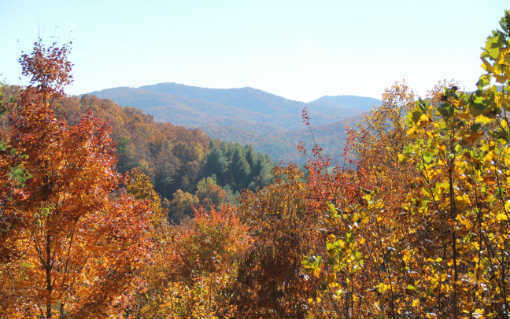 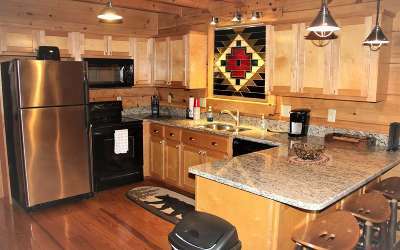 Located in the heart of the Cohuttas less than 10 miles to Downtown Blue Ridge- this cabin is situated in one of Fannin Counties biggest surprises, Cashes Valley...If you want to have access into the national forest by driving, biking, hiking, walking or horseback riding this is the perfect location for you. 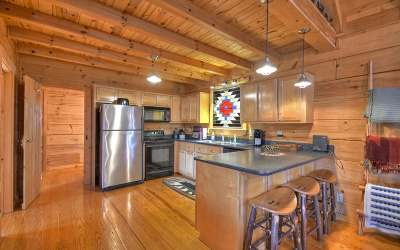 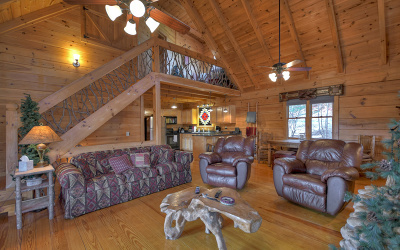 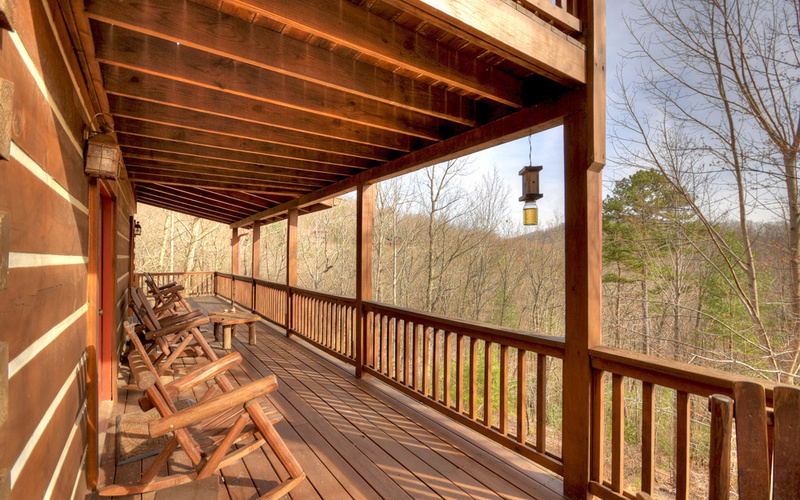 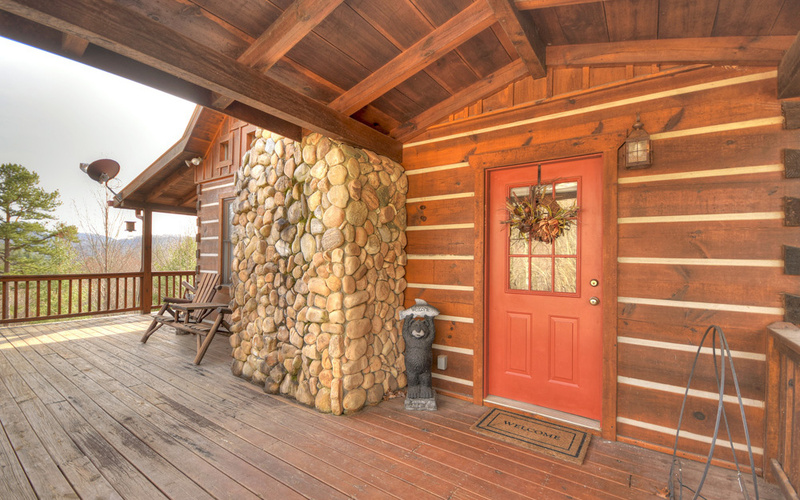 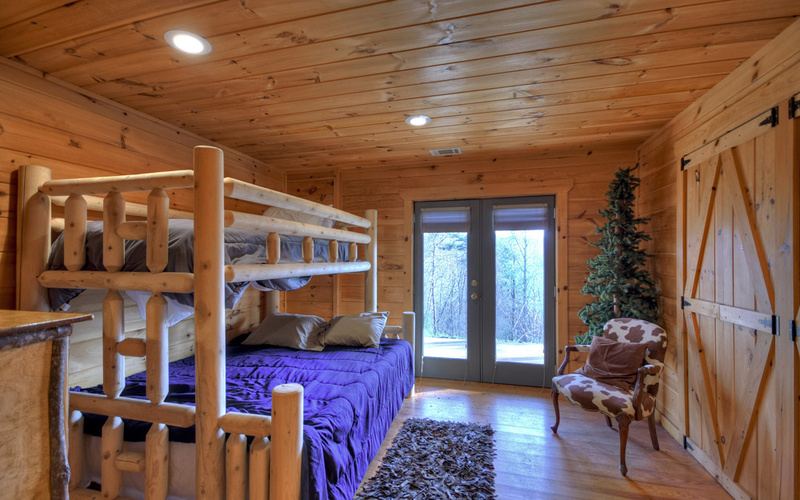 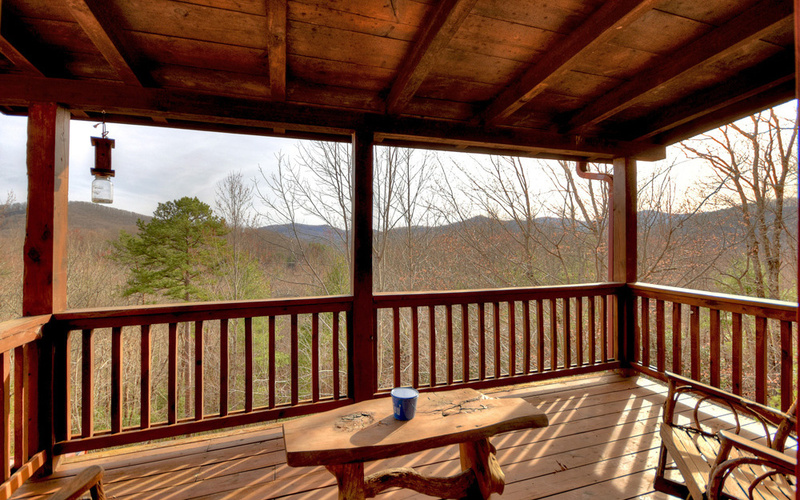 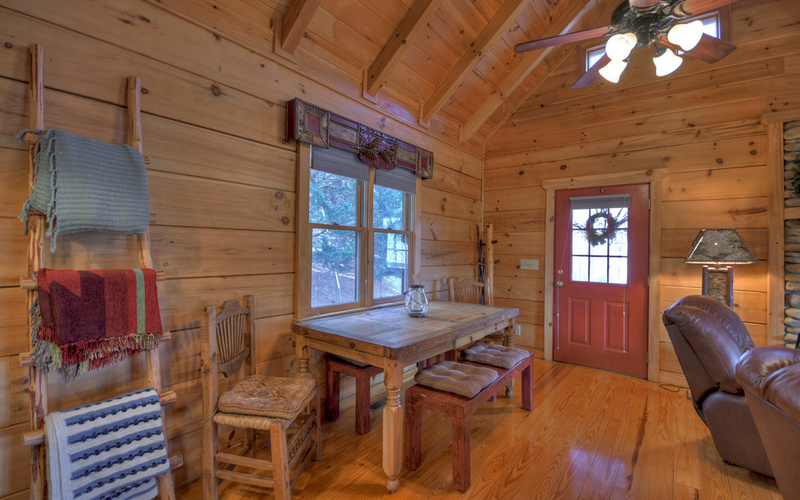 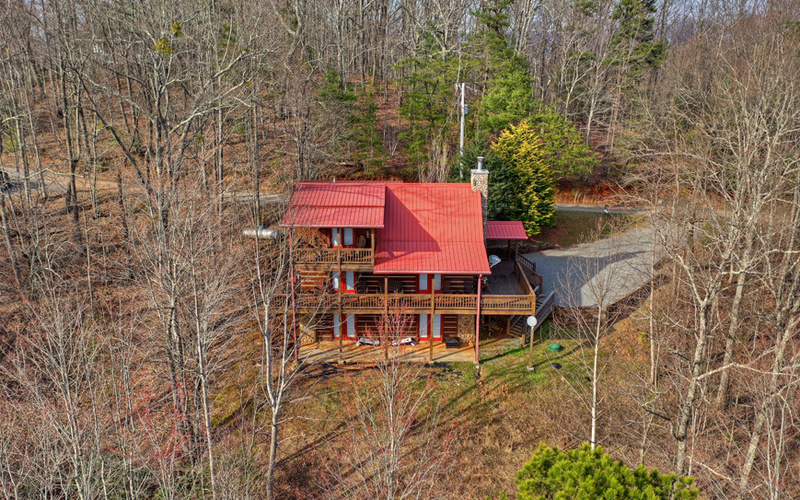 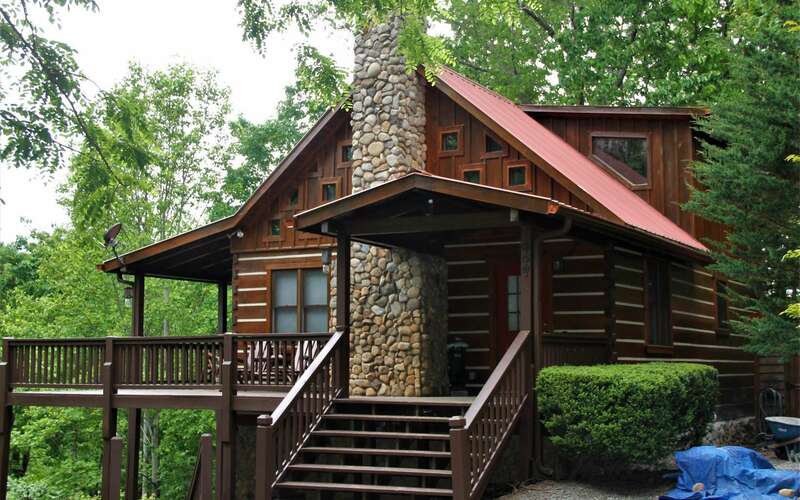 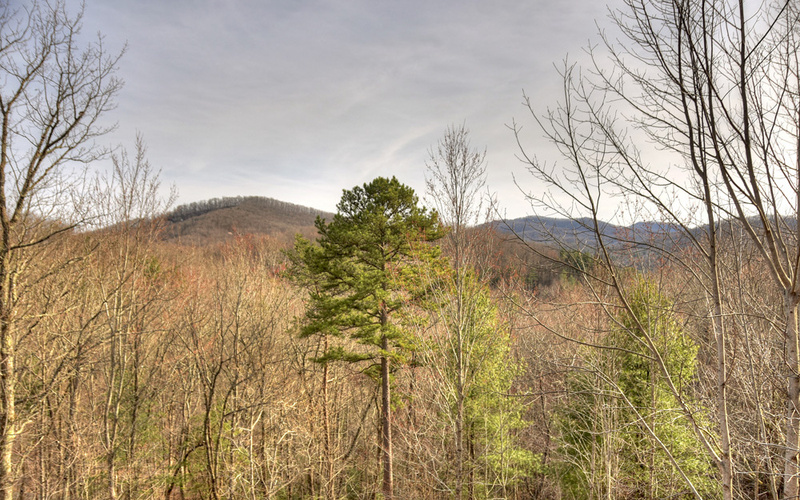 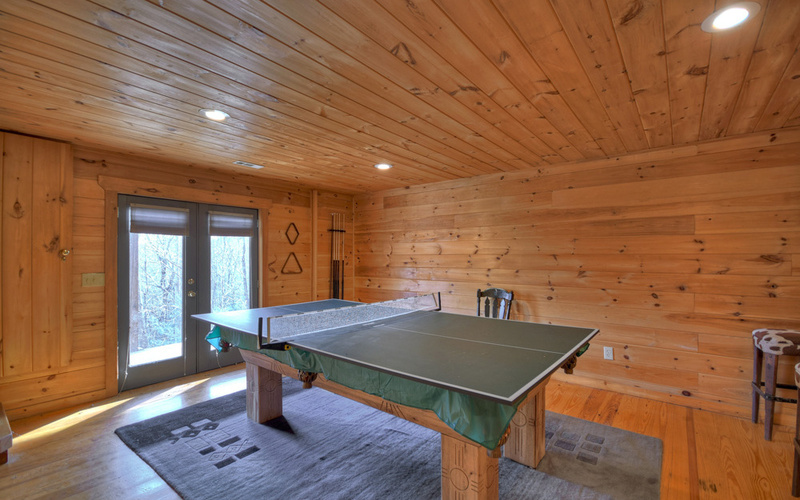 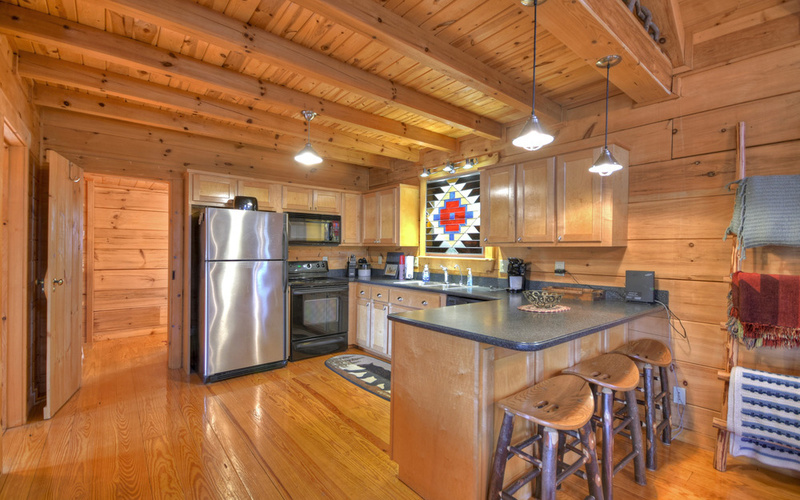 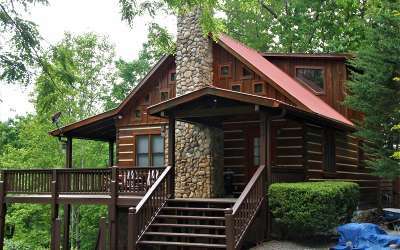 This cabin is skillfully built and overlooks extensive views of the Cohutta Wilderness Area. 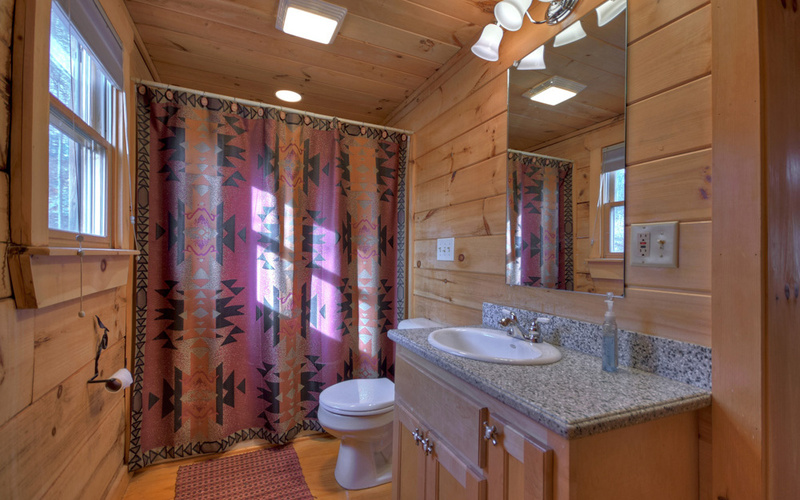 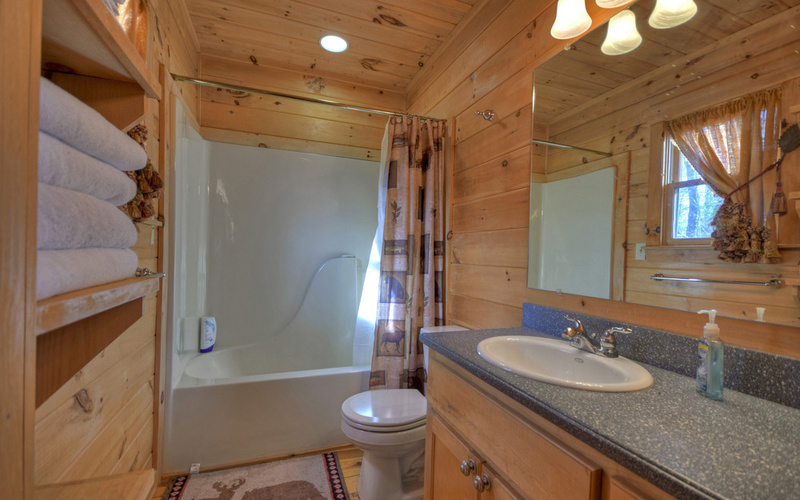 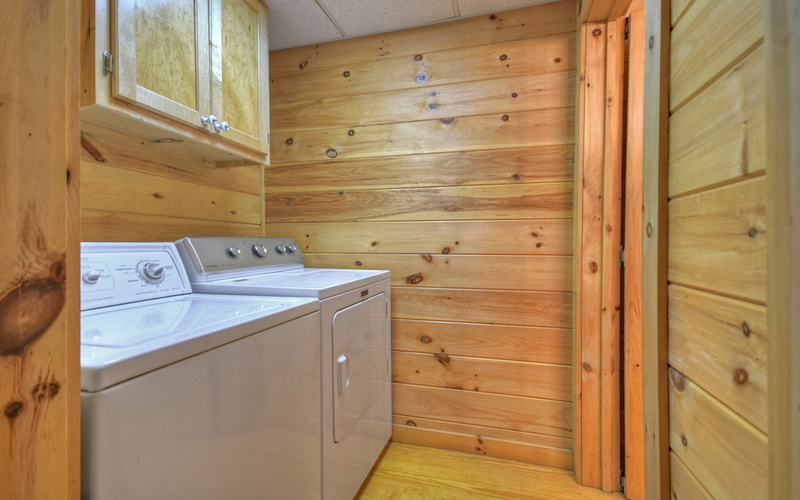 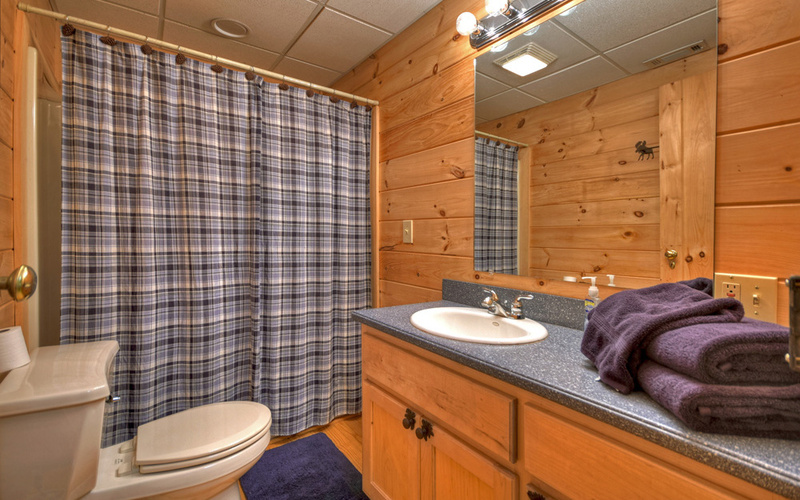 The cabin has all the bells and whistles and comes FULLY FURNISHED! 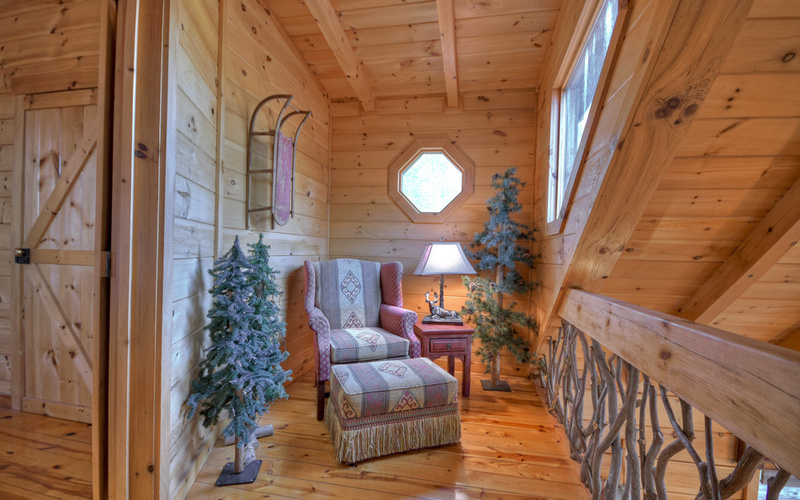 Interior is light with lots of unique windows. The fireplace soars up to the cathedral ceilings. The kitchen is roomy and has a nice dining spot. There is a queen suite on the main level. 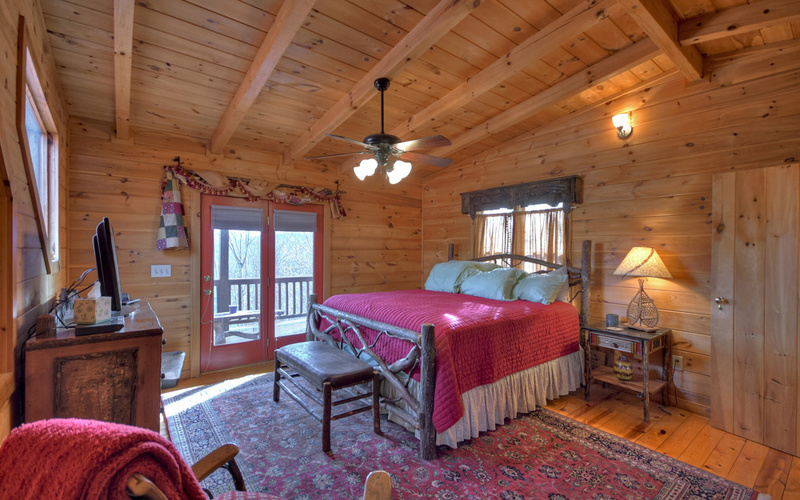 The upstairs offers a loft and a gorgeous master suite with private balcony. 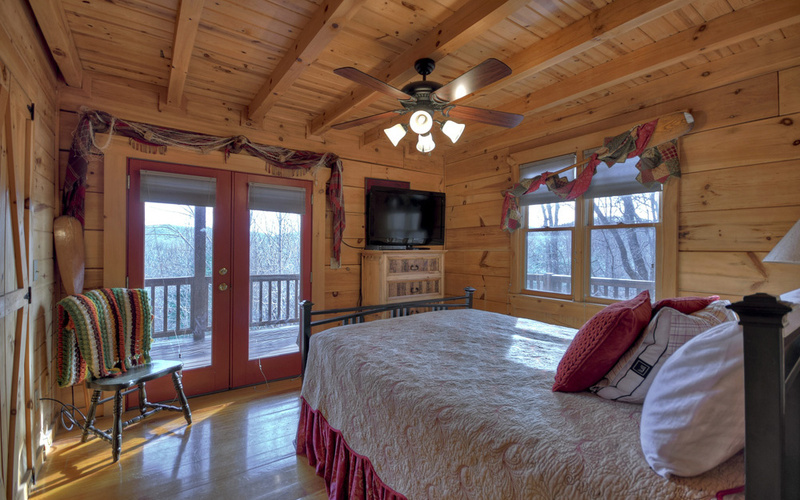 The terrace level offers a bedroom, another bath and a rec area. 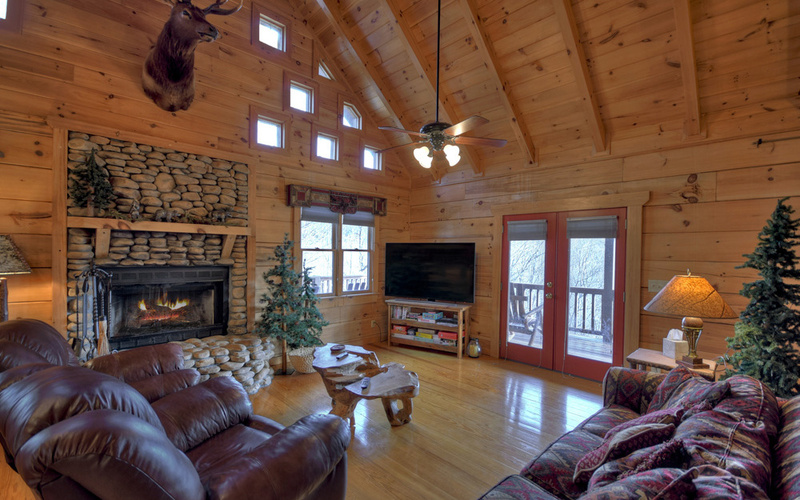 This cabin would make the perfect rental.